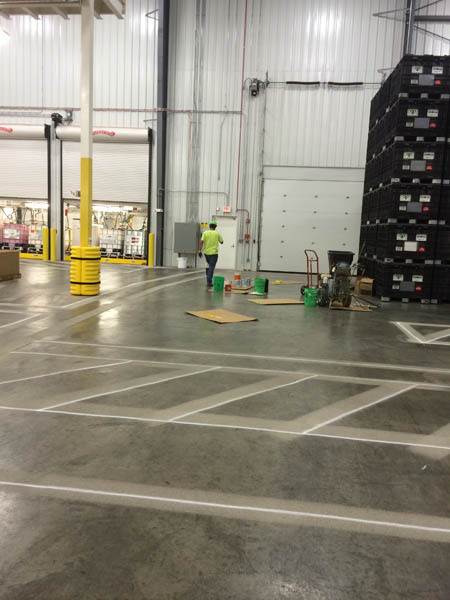 Accurate Striping, Inc. - Accurate Striping, Inc.
Situation: After constructing a new 140000 square foot processing and warehousing facility, a National Agricultural Products manufacturer was in need of development and installation of an organized floor plan. 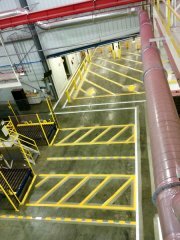 Task: To design a working striping plan that would enable safe and efficient workflow from production to warehouse and on through shipping. 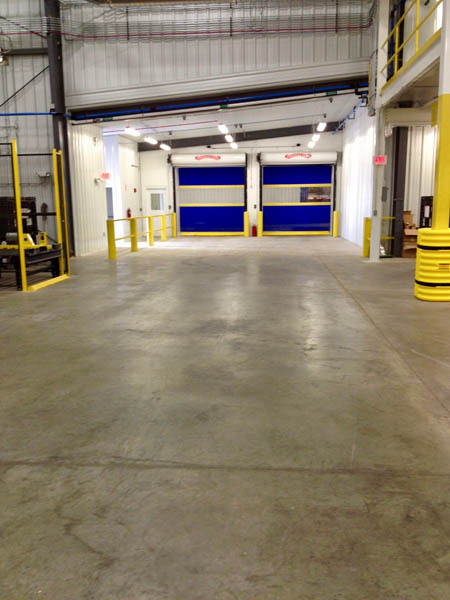 A very durable product was requested with an emphasis on a soiling resistant finish. 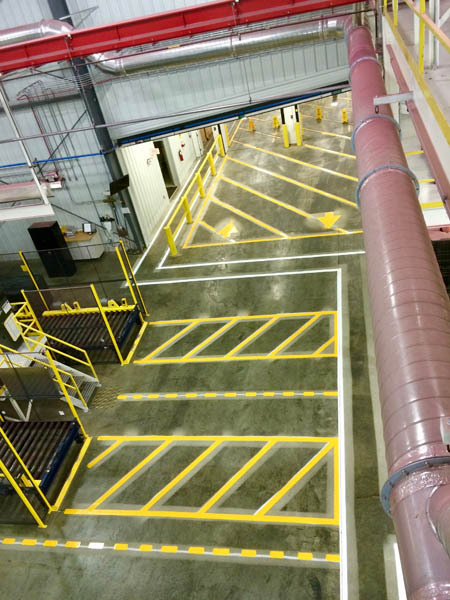 Action: Accurate Striping worked with facility and department supervision to design just the right plan. 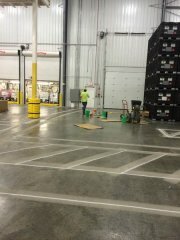 Preparing the surface by shot blasting prior to the installation of a durable, soiling resistant epoxy traffic material insured perfect bond and 5-8 years of effective use! Result: Client expressed satisfaction with layout stating a much-needed reduction in misplaced product therefore increasing efficiency. 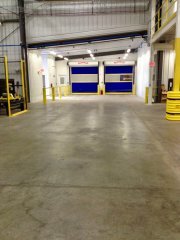 A much cleaner epoxy finish attracts far less dirt and soiling. Time to complete this facility? One day from start to finish! Copyright © 2018 Accurate Striping, Inc.. All Rights Reserved.